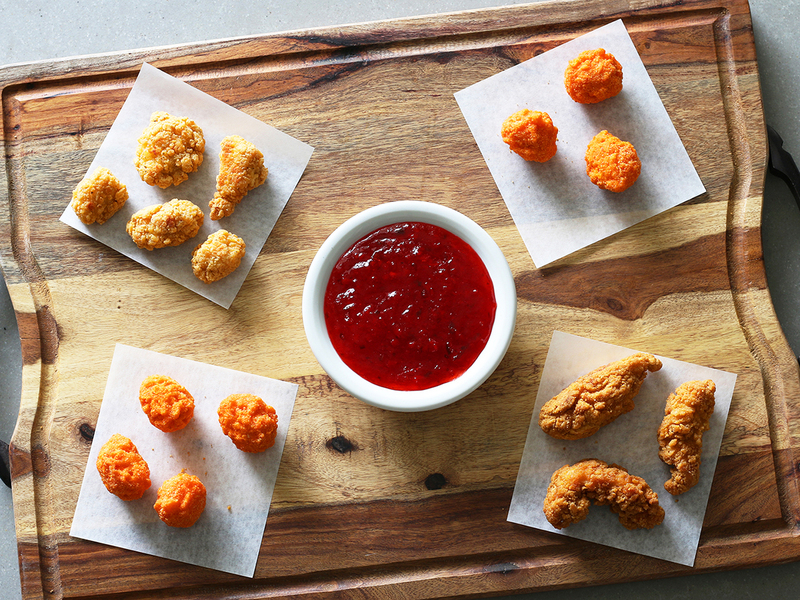 This sweet and spicy jelly sauce comes on the side, in little 1.5-ounce containers, with Arby's battered jalapeno and cheese Side Kickers. But, you know, you just never get enough of the good stuff in those little one-serving dipping packs to use later with your own home-cooked delicacies. And isn't it odd that the sauce is called Bronco Berry when there's not a berry to be found in there? Sure, the sauce is bright red and sugary, but you wont find a speck of fruit on the ingredients list. Nevertheless, the sweet and spicy flavors in this Arby's Bronco Berry sauce recipe make this a great jelly sauce that has many uses beyond dipping quick-service finger foods. For one, use it as a delicious substitute for mint jelly with your next batch of lamb chops. 1. Combine all the ingredients except the bell and minced jalapeno peppers in a small saucepan. Whisk well. 2. Set saucepan over medium/high heat, uncovered. Add peppers and bring mixture to a full boil, stirring often. 3. Reduce heat and simmer sauce for 5 to 7 minutes, or until thick. Remove the sauce from the heat and let it sit for about 10 minutes. Stir and cover. 4. Use the sauce when it reaches room temperature, or cover and chill it until needed. This is spot on. Goes great with the bacon wrapped jalepeno poppers. Everyone loves this awesomesauce!